For all of his achievements in radio, Thomas G. Ninnemann was a co-recipient of the Wyoming News Station of the Year Award by the Associated Press. 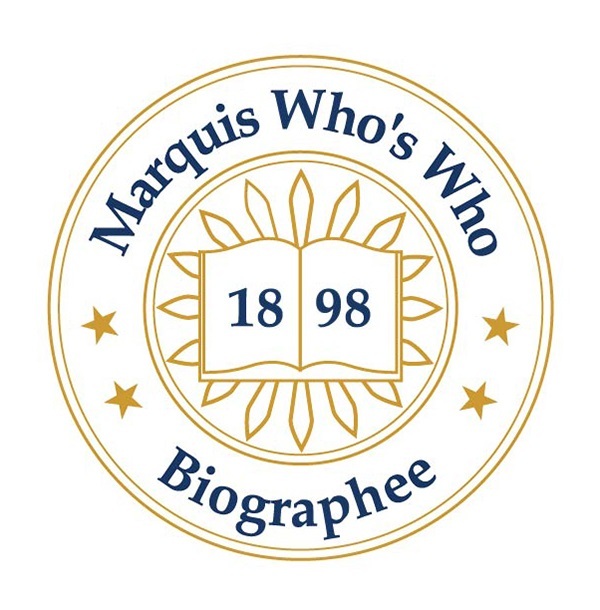 JACKSON, WY, October 02, 2018 — Marquis Who's Who, the world's premier publisher of biographical profiles, is proud to present Thomas G. Ninnemann with the Albert Nelson Marquis Lifetime Achievement Award. An accomplished listee, Mr. Ninnemann celebrates many years' experience in his professional network, and has been noted for achievements, leadership qualities, and the credentials and successes he has accrued in his field. As in all Marquis Who's Who biographical volumes, individuals profiled are selected on the basis of current reference value. Factors such as position, noteworthy accomplishments, visibility, and prominence in a field are all taken into account during the selection process. From 2008 to 2014, Mr. Ninnemann was a news and public service director at KJAX-FM, KMTN-FM, KZJH-FM and KSGT-AM. Before taking on this role, he was a radio and television instructor and producer of district television programming at Teton County School District in Jackson, WY from 1989 to 2004 and from 2005 to 2007. In that gap, he was an interim projects manager at KWYS-AM in West Yellowstone, MT from 2004 to 2005. He was the director of news at the KSGT and KMTN-FM stations in Jackson, WY from 1984 to 1994 and news editor at the KDEN station in Denver, CO from 1983 to 1984. Additionally, Mr. Ninnemann was the president and market researcher at Rampart Range Broadcasting Inc. in Castle Rock, CO from 1981 to 1983 and the manager of driver education in the safety department at the American Automobile Association in Denver, CO from 1978 to 1981. The year prior, he was a news stringer at the Associated Press for United Press International in various stations in Colorado Springs, CO. He was the director of news at the KPIK-AM-FM station in Colorado Springs, CO from 1975 to 1977 and the operations manager at WMST-AM-FM in Mount Sterling, KY from 1974 to 1975. Mr. Ninnemann's professional career began as a director of news at the KGLN station in Glenwood Springs, CO from 1972 to 1973, at which point he accepted a one-year position as program manager at KKEP station in Estes Park, CO.
Aside from all of these appointments, Mr. Ninnemann was a panelist for Yellowstone Fire Review at Yellowstone National Park in 1989, a contract spokesperson on fire safety at the Bridger-Teton National Forest in Jackson, WY from 1990 to 1997 and a seasonal public affairs specialist at the Grand Teton National Park during summers of 1995 to 2001. Additionally, he was a member of the broadcast curriculum advisory committee at Central Wyoming College from 1995 to 2004. Mr. Ninnemann pursued his studies at the University of Northern Colorado, where he earned a Bachelor of Arts in 1972. He pursued radio because his brother worked at his college radio station while at school and he became infatuated with the whole process from afar. An active member in the community, Mr. Ninnemann has been a BSA Jackson District Commissioner since 2016, on the Teton County local emergency preparedness committee since 2014 and on the board of directors at the Jackson Hole Crime Stoppers since 1996. Additionally, he was a member of the public advisory committee at Wyoming Public Radio from 1990 to 2014, the local committee of the Christian Ministry in National Parks from 1988 to 1996 and has been an active member of the Jackson Hole Brass Quintet from 1985 to 2004. From 1985 to 2000, Mr. Ninnemann was a charter member of the Shepherd of the Mountains Lutheran Church. In 1989, he was the co-founder of the Jackson Hole Community Band. Furthermore, he was an assistant scoutmaster and scoutmaster for the Boy Scouts of America in Castle Rock, CO between 1979 and 1984, and he became a member of the district committee in Jackson, Wyoming from 1984 to 1993 and beginning again in 2001. In acknowledgement of his many accomplishments in the field, Mr. Ninnemann has received such awards as the Tony Bevinetto Friend of Wyoming Tourism Award from the Wyoming Travel Commission in 1993 and the Bronze Smokey Award from the United States Forest Service in 1998. For all of his achievements in radio, he was a co-recipient of the Wyoming News Station of the Year Award by the Associated Press in 1990 and was named the Colorado Broadcast Newsman of the Year by the Associate Press in 1976. Moreover, the Boy Scouts of America presented him with the Silver Beaver Award in 2011 and the Order of the Arrow Founders' Award in 2012. Mr. Ninnemann has previously been featured in Who's Who in America, Who's Who in Entertainment, Who's Who in Media and Communication and Who's Who in the West. In recognition of outstanding contributions to his profession and the Marquis Who's Who community, Thomas G. Ninnemann has been featured on the Albert Nelson Marquis Lifetime Achievement website. Please visit www.ltachievers.com for more information about this honor.